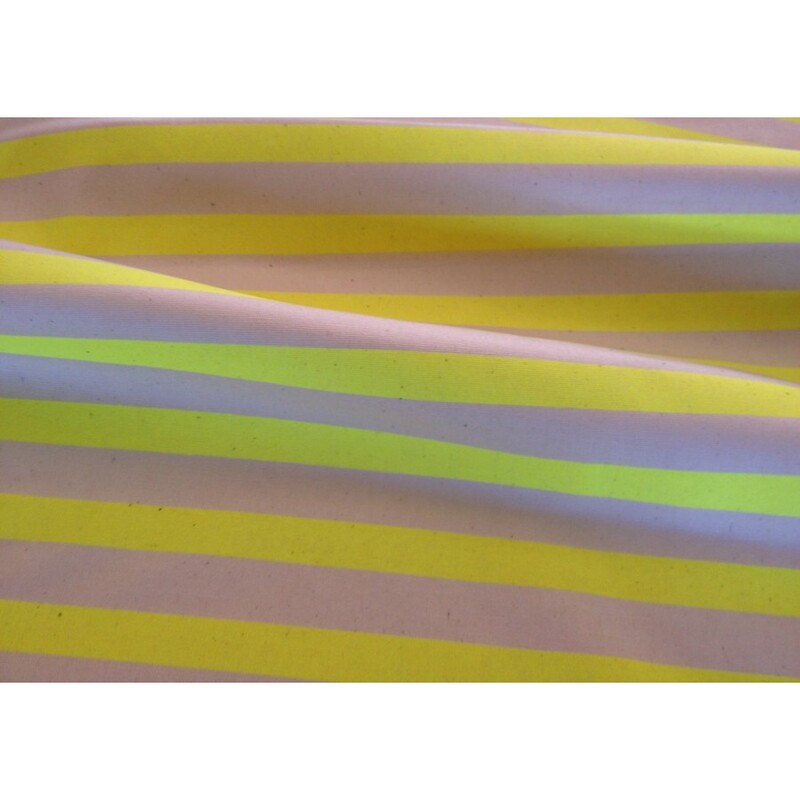 Medium, home decorating weight fluoro striped fabric perfect for cushions, napery, table runners, quilts, lampshades etc..
Colour Fluoro yellow on seeded natural. 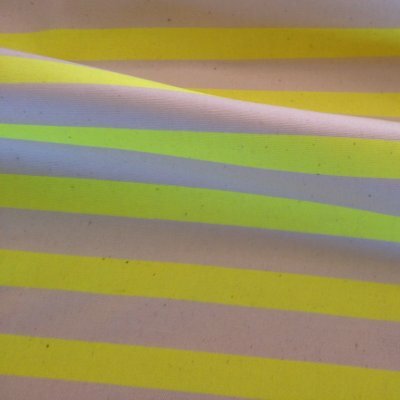 Motif Size Fluoro stripe 1.5cm thick. Stripes run horizontal down the fabric length.